Like many organizations, the City does not have the budget to staff a full time developer/programmer. So having the ability to create an in depth application quickly and without cost was a huge asset. The number of widgets available for applications is vast, and there is an ever growing community of developers making new tools every day. 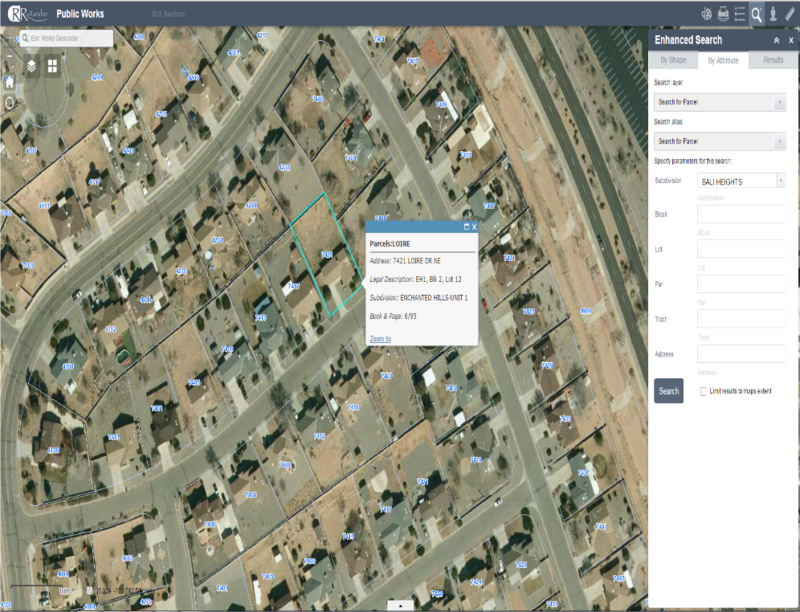 Below is an example of our Public Works application showing the enhanced search widget, allowing our staff to search for parcels based on legal description or address. An example of CORR Public Works application showing the enhanced search widget. The interface for the builder has improved greatly in the last year, and is very simple to download and run. 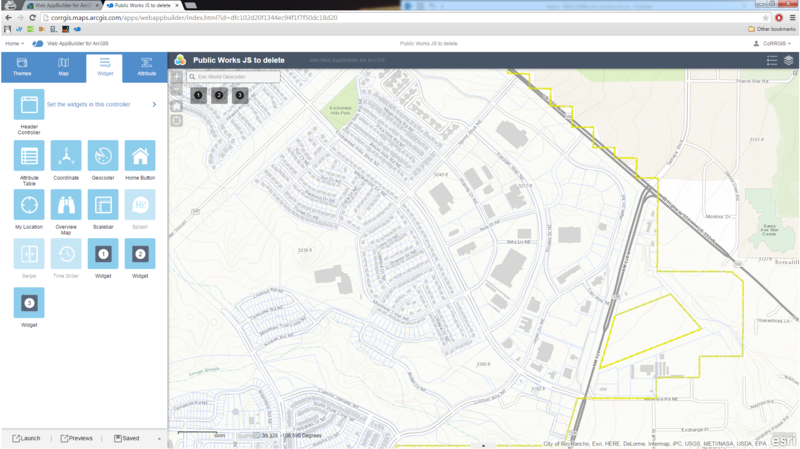 You can also use a scaled down version within ArcGIS Online when you share a newly created web map. Below is an example of the developer version, which must be downloaded and run on your desktop/server. The developer environment allows the user to incorporate custom widgets, created by everyday users and developers. Without these tools, our ability to deliver GIS data is limited, but now, using only internal staffing and minimal budget, we can push our data out to not only our staff, but to the public as well.